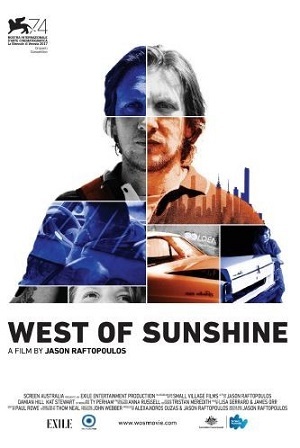 A father-son story of much heart and strong resonance, West of Sunshine also introduces a new filmmaking talent in Jason Raftopoulus who blends grit and tenderness into a disarmingly poignant package. What exactly constitutes being a “good father”? Is it to be a provider? Some dads provide, but do not necessarily invest. Is it to simply be present? Some dads can be “there”, but not give all their attention. Is it to simply love? Most dads love their children, but do not take responsibility for them. Jim (Damien Hill) has fallen short on most facets of being a good dad. 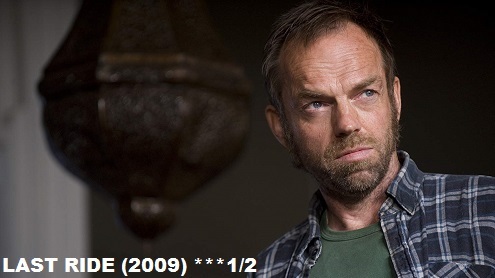 Separated from his wife (Faye Smythe) and slowly becoming estranged from his young son Alex (Ty Perham), Jim has let his life become dictated by a crippling gambling addiction that has reached dangerous levels, with violent loan shark Banos (Tony Nikolakopoulos) breathing down his neck. With less than day to pay back his gambling debt, Jim scrounges for the dollars needed to free him from certain danger, all while looking after young Alex who watches on as his father’s life crumbles under the weight. As told through the desperate actions of the equally pitiful and sympathetic Jim, West of Sunshine presents itself as a stirring character piece told without judgement or pretence. Raftopoulos effectively taps into the frustration and desperation of a gambling addict, which Damian Hill portrays with heartbreaking humanity. There would no doubt be a temptation to present Jim as a bogan caricature, yet Hill adds much depth to this man who, although very much a failure ad a father and a husband, gives reason to have faith in his redemption. A good portion of the film is spent watching Jim and Alex drive from destination to destination in Jim’s muscle car, as he fulfils his orders as a courier. Raftopoulos brings a great sense of place to the proceedings, presenting a Melbourne most of us outside of the city (and maybe even some within) have never seen. During these trips the bond between father and son become intimate, then strained, and then tested to breaking point. One sequence will have many gripping their seat in a nervous wreck, while shaking their head at Jim’s questionable parenting. Yet such is the strength of Raftopoulous’s filmmaking and Hill’s performance, where again that glimmer of hope is found in Jim’s flawed, yet deep seeded good nature. In a sense West of Sunshine is a coming of age drama, yet one where the adult learns how to take those first steps and fulfil his duty as a father. After you watch him do so, wipe those tears from your eyes, and be sure to hug your kids (if you have them), and tell your dad you love him.